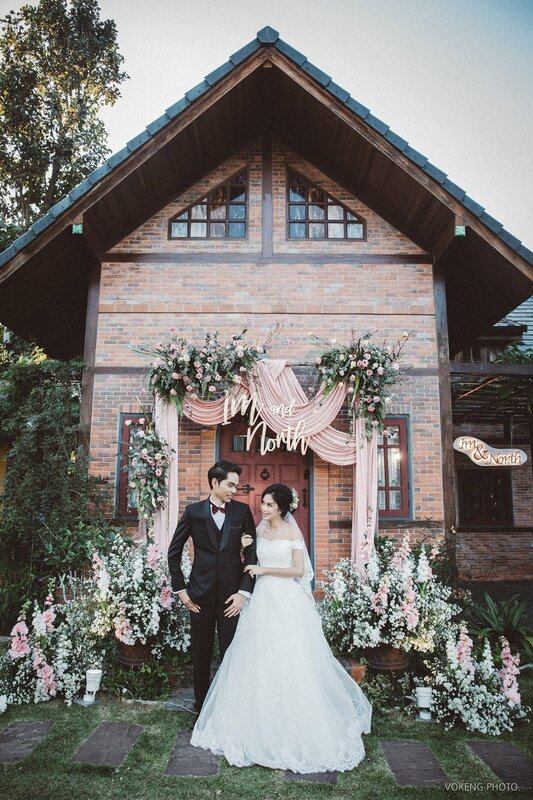 Located on three acres of lush gardens, The Heritage House & Garden offers you and your partner a picturesque wedding set in a verdant Chiang Mai valley and scenic surrounding foothills, complete with Europe-inspired accommodation. 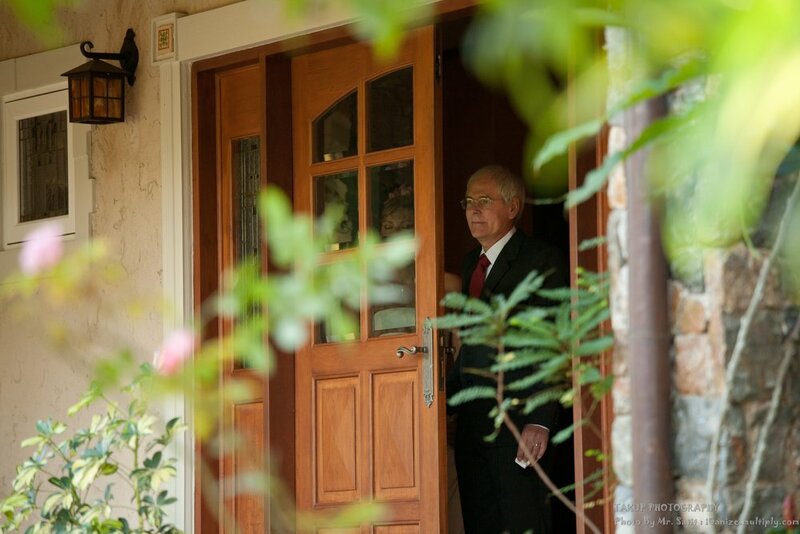 We’d love to create a personal and authentic experience for you and your loved ones. Life's biggest moments are worth celebrating. 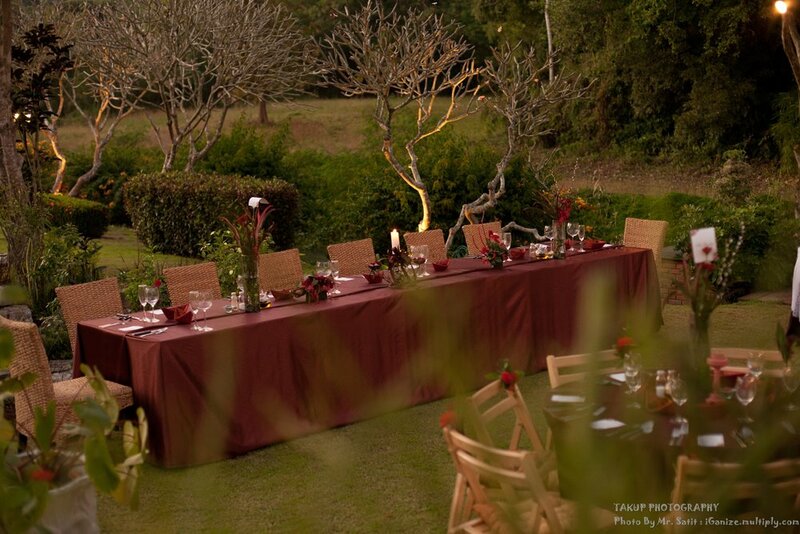 Wedding celebrations should be held during winter season, from November to February, when the weather is mostly cool. 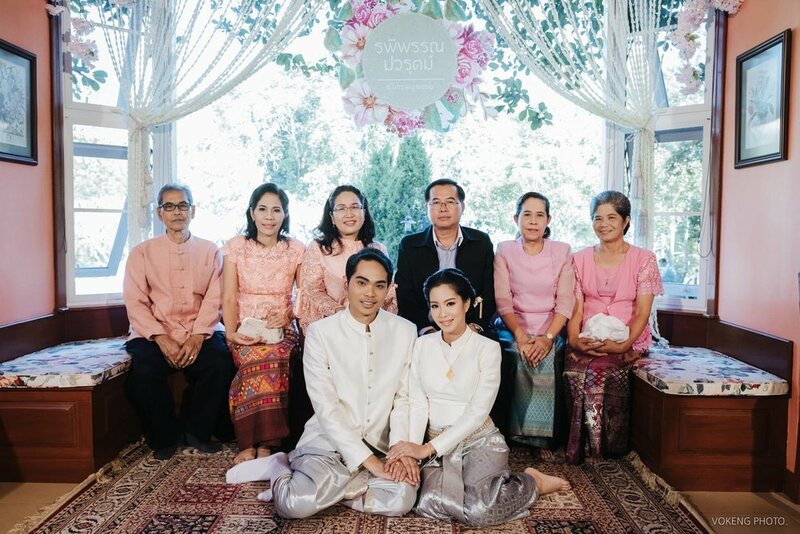 To preserve the intimacy of events, the maximum number of wedding guests is 150. If you'd like to host a traditional Thai or Chinese Tea ceremony, we offer an elegant sitting room and dining room in the Manor House, suitable for up to 20 people. 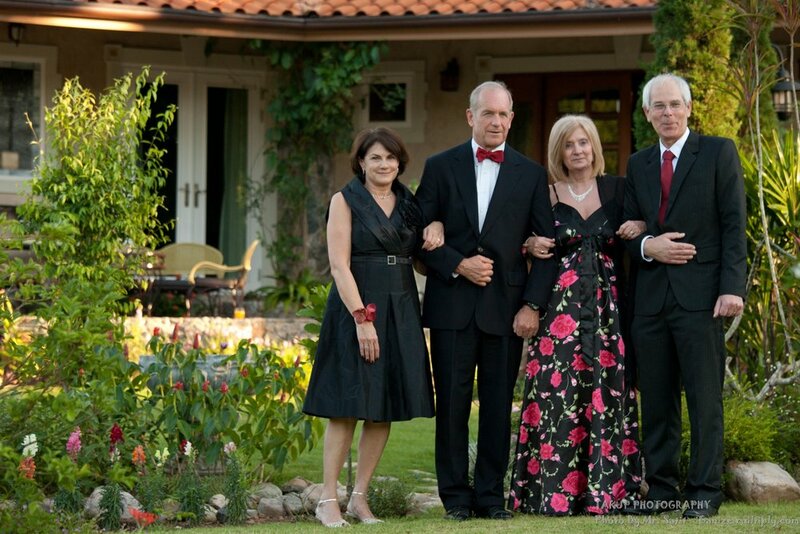 The charming French-influenced Manor House sleeps up to 16 guests. Consists of 5 bedrooms and 3 suites, including the Wisteria “Honeymoon” Suite for the bride and groom. Common areas include the living room, dining room, and reading library. Three private Countryside Cottages sleep up to six guests each. We have additional accommodation for overnight guests. See the Dragonfly Cottage, Gatehouse Cottage, and Tuscan House. To ensure your absolute privacy and exclusive use, a Manor House booking is required. Weekday weddings require one night stay and weekend weekends require two nights’ stay. If you cannot book two nights’ accommodation, the peak season rate will be applied. Maximum number for overnight guests is 33, which includes both the Manor House and private Guest Cottages. For catering, entertainment, and all other requirements, The Heritage House & Garden has an Open Vendor Policy, which means we encourage you to choose your own vendors. If you need assistance with seeking vendors, we're happy to recommend some wonderful vendors that we trust. Capture your love in a private photo session. For those hosting a wedding at the property, as a token of our appreciation, we are happy to offer the property to you and your photographer, free of charge. 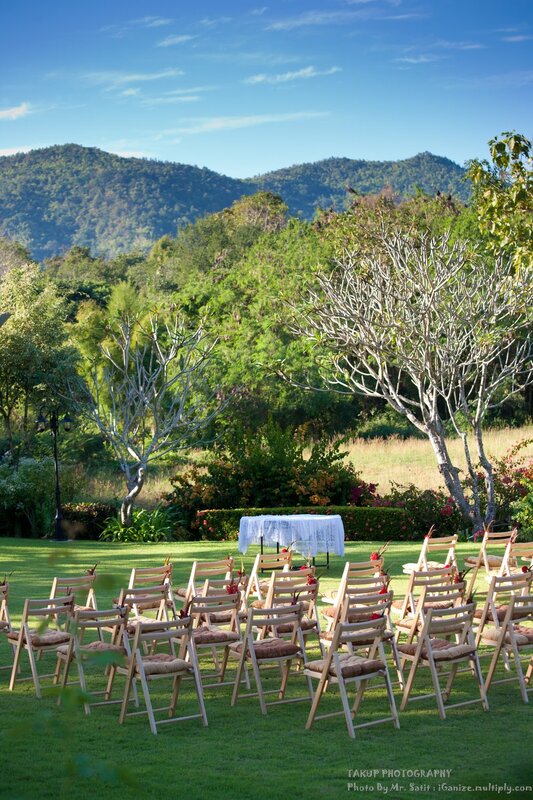 Want to get married in Chiang Mai? Download our free Countryside Wedding Brochure and receive future updates on celebrating events, workshops, and parties at The Heritage House & Garden.